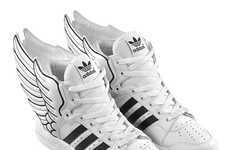 Jeremy Scott is turning the world of footwear on its head once again with the Adidas GITD JS Wings. 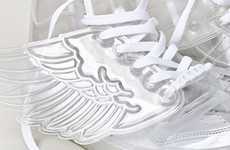 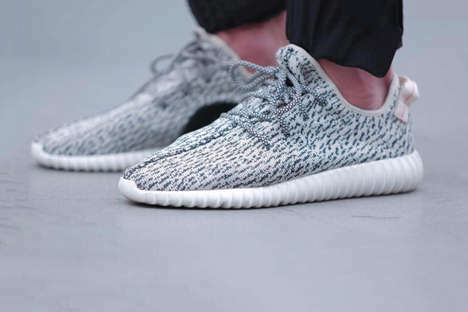 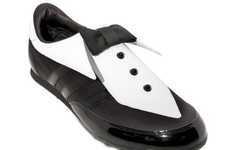 As if having a pair of wings on your shoes wasn't a bold enough fashion statement, these shoes also glow in the dark. 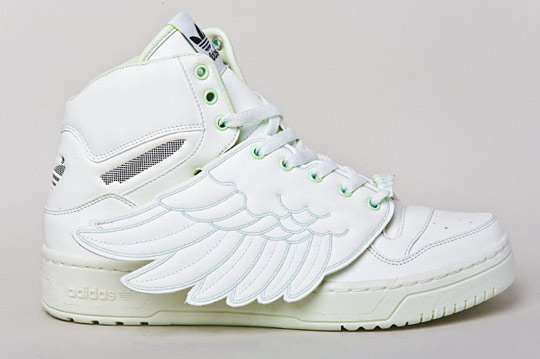 Jeremy Scott has collaborated with Adidas on some crazy shoes before, but the Adidas GITD JS Wings just might be his wackiest. 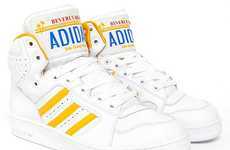 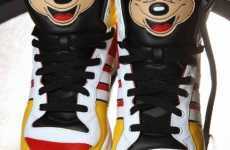 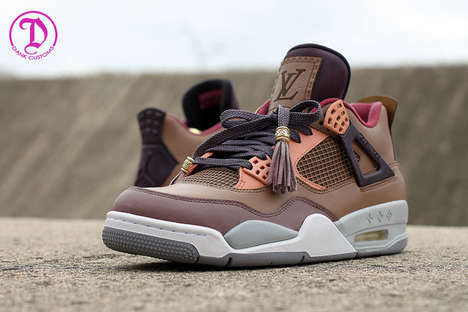 Check it out in the gallery above and read below to see other bizarre shoe designs from Jeremy Scott and Adidas.